Soaring sales of the Range Rover Evoque at home and abroad have prompted Jaguar Land Rover to agree £1 billion worth of new orders with UK suppliers. And in a double boost for the firm it has announced it is to create 300 jobs with logistics partner DHL at a new support facility in Merseyside. The car maker revealed it is set to spend an extra £1 billion with British suppliers over the next four years, in addition to £2 billion worth of supply contracts it awarded to more than 40 UK suppliers in March last year. The suppliers concerned provide components, facilities and services to support production of the Evoque at JLR’s Halewood plant. 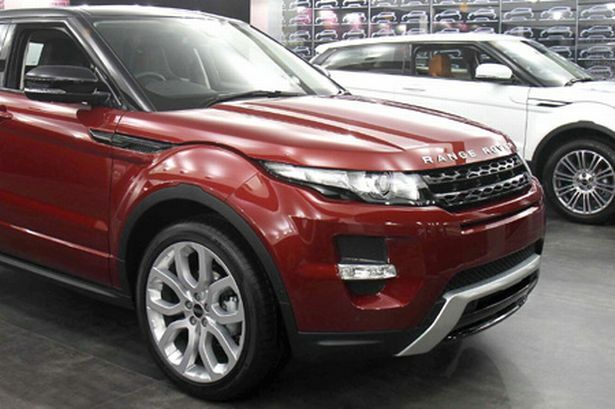 JLR is believed to have sold 5,000 Evoques in China in the first quarter of 2012 alone. JLR also confirmed the creation of a new logistics facility in Ellesmere Port, Cheshire, to support the worldwide success of both the Evoque and Land Rover Freelander 2 models. The purpose-built logistics site will open this summer and JLR&apos;s logistics provider DHL will manage it. Dr Ralf Speth, CEO Jaguar Land Rover, said: "Today&apos;s announcements demonstrate JLR&apos;s strong products and clear ambition for continued growth. “The demand we have seen across the globe for the Range Rover Evoque means we are able to significantly increase what we spend with our suppliers, which is great news for the UK economy, and the thousands of jobs JLR supports in its supply chain. “Our commitment to the North West will also be enhanced with the new logistics facility and this will support the future success of both our Freelander 2 and Range Rover Evoque models." Paul Dyer, managing director of DHL Supply Chain’s automotive services in the UK and Ireland, said: “We are delighted to continue our support for JLR’s ever-growing expansion plans. “As the UK’s North West region is fast becoming a major supply chain hub for the automotive industry, this new facility will greatly enhance the next stage of the company&apos;s development and future success."